NRIfm.com pays tribute to the inspirational INA freedom fighter who fought with Netaji Subhash Bose. He had the courage and fortitude of Bose and tolerance of Nehru and Gandhi. Like many freedom fighters he was not happy with the current state of the nation, but his disappointment was never expressed in bitterness and he never lost hope. Captain Abbas Ali, a commissioned officer in the British army, was sent to South-East Asia in 1940 to fight against Japan. But in 1944, after hearing an inspiring speech of Netaji Subhash Chandra Bose in Singapore, he joined the Indian National Army. He saw Netaji very closely and here he remembers the speech that Netaji gave in Rangoon on the tomb of the last Mughal Emperor Bahadur Shah Zafar. He says, he met Netaji at least ten days after he is said to have died in the plane crash. Later he was court martialled by the British army and given death by hanging. 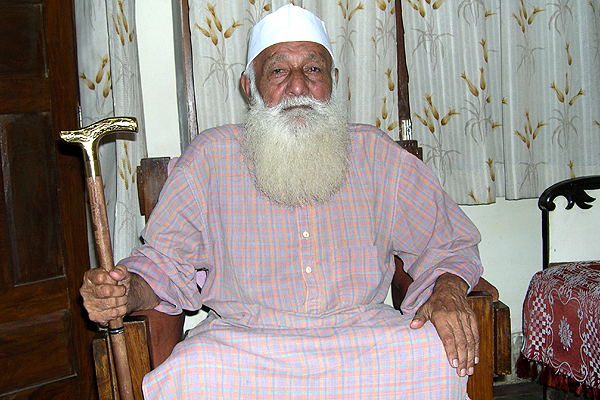 Like many INA prisoners he was released after independence of India in August 1947. And of course the old freedom fighter is not happy about the state of the nation today.